interesting. I've read that they've fitted it with 4x hardpoints for free fall bombs. Are they using any sort of bomb sight to know where to drop the bomb? ووقتها تكلمت الجزيرة وغيرها من القنوات الساقطة التابعة للدول المعادية للعراق عن براميل وقصف بالبراميل .. وهي بالحقيقة قنابل فاب. 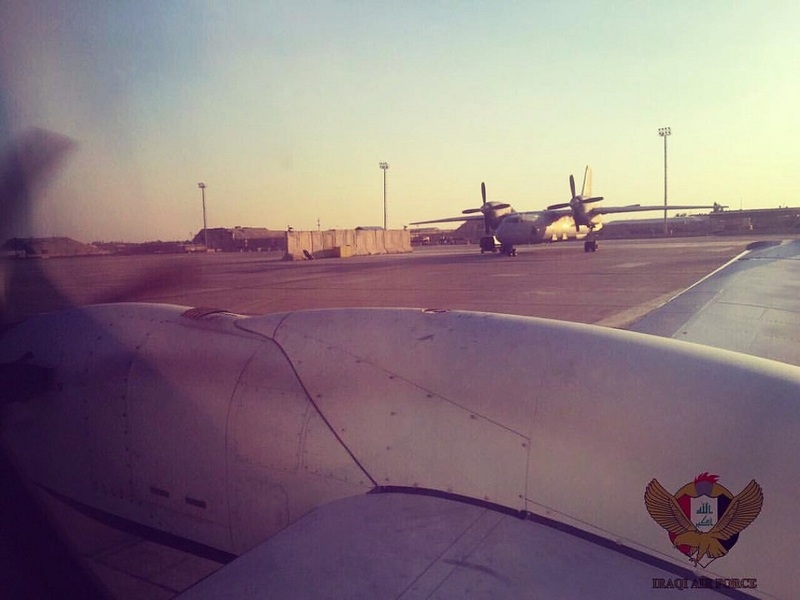 On July 17, 2016, the first photo appeared on social media depicting an Iraqi air force An-32B Cline transport aircraft carrying a bomb on an external pylon. It’s not the first time that transport aircraft have pulled double duty as bombers. Following Operation Iraqi Freedom in 2003, Iraq began to rebuild its air force, which had been decimated during the invasion. Most Iraqi combat aircraft were discovered by coalition forces in poor condition on various air bases, while others were found buried outside their bases or in nearby towns and villages where they had been abandoned. When it was created in 2004, the new Iraqi air force consisted of only 35 personnel. 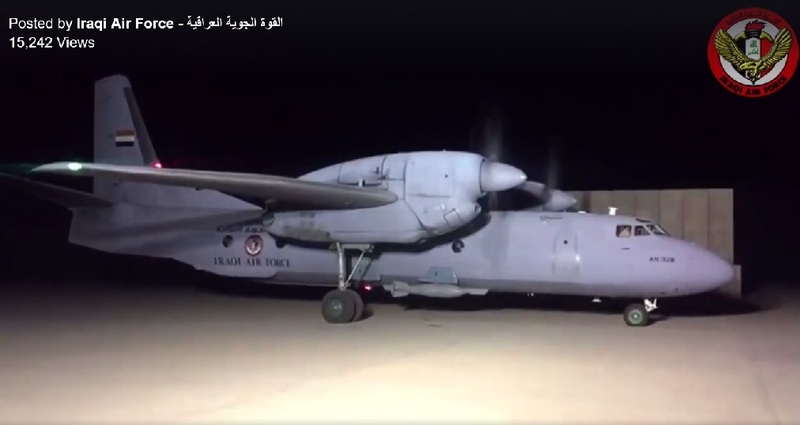 One year later, the Iraqi air force received its first “new” transport aircraft — three 1960s-vintage, former U.S. Air Force C-130E Hercules. The C-130Es equipped the 23rd Transport Squadron at Tallil Air Base. In 2013, six brand-new C-130J-30 Super Hercules joined the old C-130Es. On Dec. 9, 2009, Baghdad signed a $2.5-billion arms deal with Ukraine. The contract included 420 Khariv Morozov BTR-4 wheeled armored personnel carriers, repair work on Mi-8T helicopters and six Antonov ASTC/Aviant An-32B light military transport aircraft. The An-32B is a multipurpose transport that can operate in various climate conditions, including hot conditions up to 50 degrees Celsius and from mountain airfields up to 4,500 meters in elevation. The first An-32B for the Iraqi air force, serial number YI-401, made its first flight at Kiev-Syvatoshino, Ukraine on Oct. 9, 2010. However, in 2011 Antonov stopped work on the six An-32Bs after Baghdad failed to pay on time. By this stage, the first three aircraft were complete and were awaiting delivery from the factory, while two more aircraft were in production. The Iraqis eventually settled up. On Nov. 18, the first unit, serial number YI-403, was finally delivered by Ukraine. These aircraft were initially assigned to the 23rd Transport Squadron, serving alongside the C-130s at New Al Muthana Air Base. Subsequently, the 33rd Transport Squadron was created in May 2013 specifically for the An-32s. 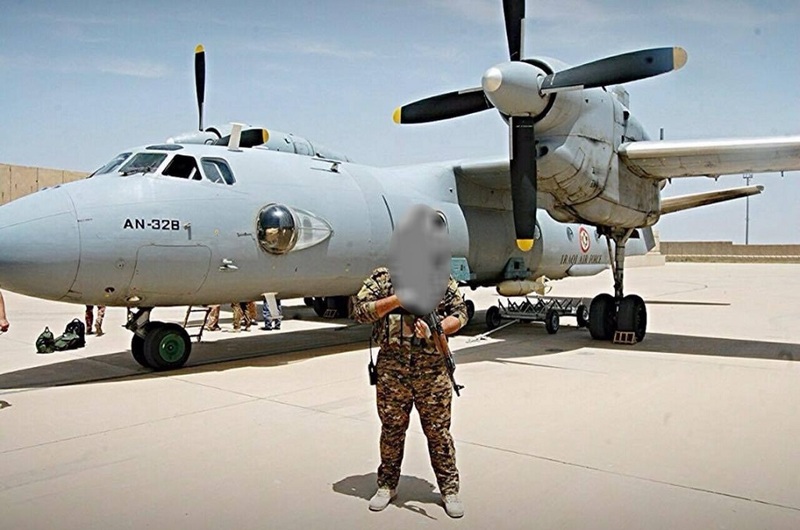 In July 2014, after ISIS captured the major cities of Anbar province, the Iraqi air force launched a development program to transform two of the six Antonov transports into bombers, with the help of Ukrainian technicians. 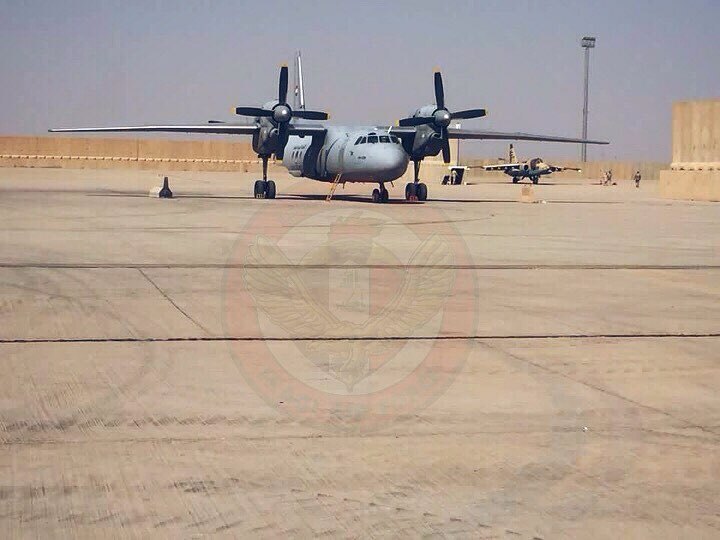 It’s worth remembering that in early 2014, the Iraqi air force had no bombers in service. The F-16s that Baghdad had ordered from the Americans were supposed to arrive in Iraq in September that year, but Washington delayed the delivery owing to ISIS’ rapid advance. What’s more, Balad Air Base wasn’t ready to accommodate the F-16s. Russia and Iran donated a dozen Su-25 attack planes late June and early July 2014, but not all of them were combat-ready. Thus work continued on the An-32 bombers. Technicians equipped the first An-32 with four-beamed BDZ-34 bomb racks on four pylons, two on each side of the fuselage. The idea was to arm the An-32s with four 500-pound Chinese-made bombs. The An-32 also got an NKPB-7 bomb sight. 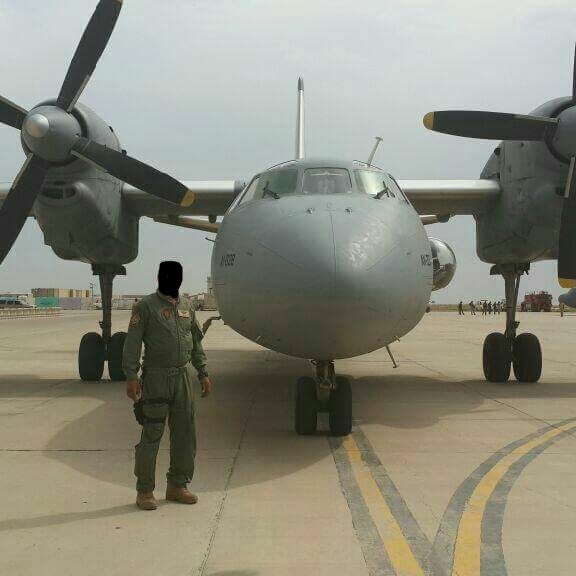 Iraq transformed its second An-32 by adding a removable roller conveyor on the guide rails in the cargo bay. The conveyor could fit four 500-pound bombs. This modification also had appeared earlier — on Indian Air Force An-32s. On Feb. 22, 2013, two of these aircraft successfully bombed their assigned target at the Pokhran Test Range in western India as part of the Iron Fist exercise. The Indian Air Force has been working on this concept since 1971, when it deployed An-12s to bomb Pakistani forces attempting to cut off Kashmir from the rest of India. The Antonovs were configured to carry up to 36 500-pound bombs for carpet bombing. The day war broke out with Pakistan in December 1971, six An-12 aircraft bombed an Pakistani army ammunition depot. 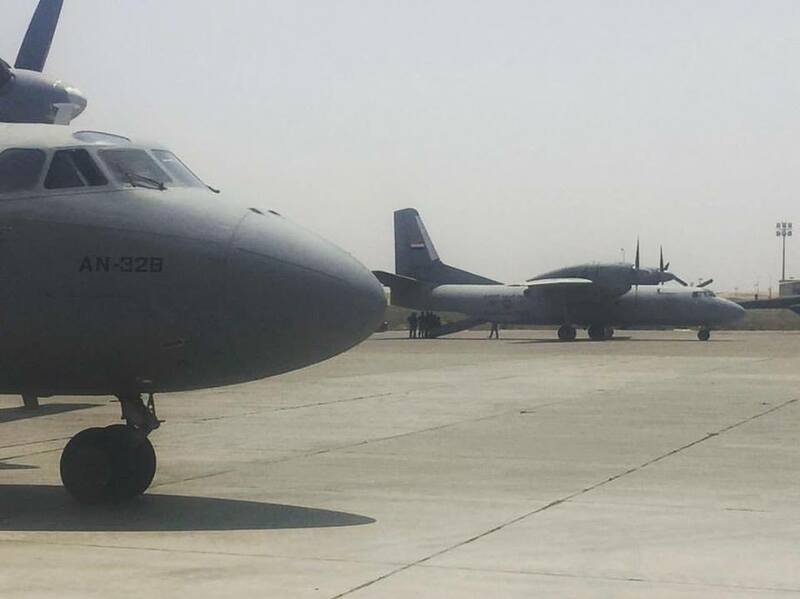 There have been no reports confirming that the Iraqi An-32 bombers have flown any actual combat missions, but according to some Iraqi pilots, the bombers are meant for clandestine missions. The coming battle for the liberation of Mosul will undoubtedly afford the transports-turned-bombers an opportunity to test their prowess. 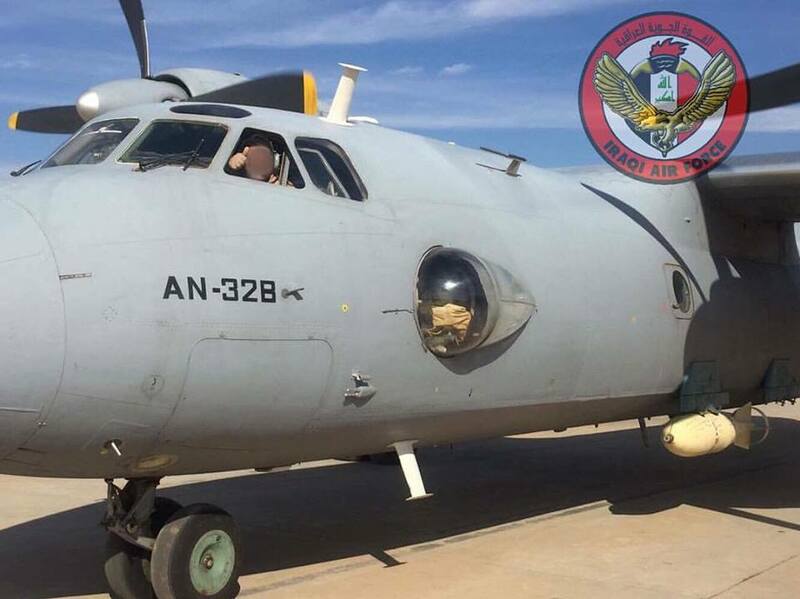 The antonov 32B of the IRaqi Air force have been used for the first time to bomb with Precision Guided Munitions. The area bombed was a series of 6 houses in the AL Salam area outside Tel Afar which were used to house munitions and boats. according to the Iraqi AF page on Facebook, the munitions were GPS guided. Interestingly the US has refused to sell GPS guided munitions to Iraq... but China has sold such munitions for the CH-4B UCAVs in the past. 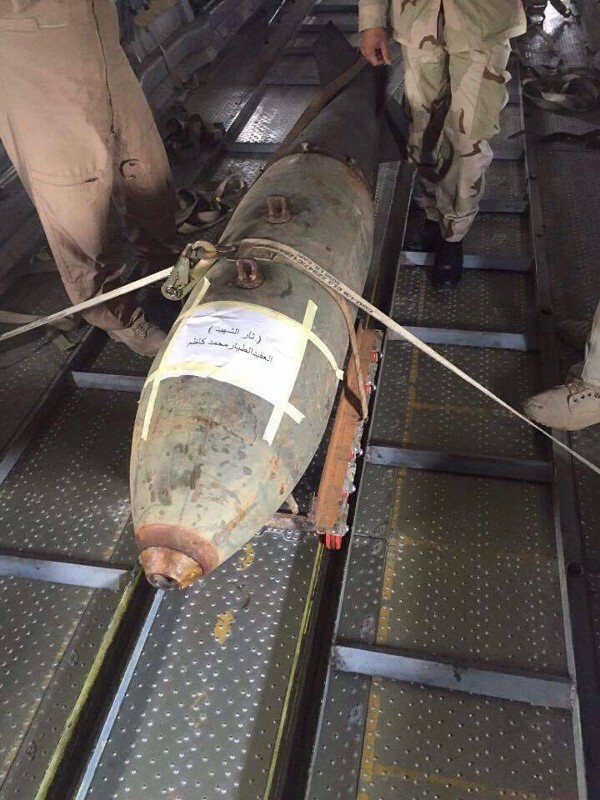 I wonder if this indicates that China is now selling heavier GPS guided munitions to Iraq too?